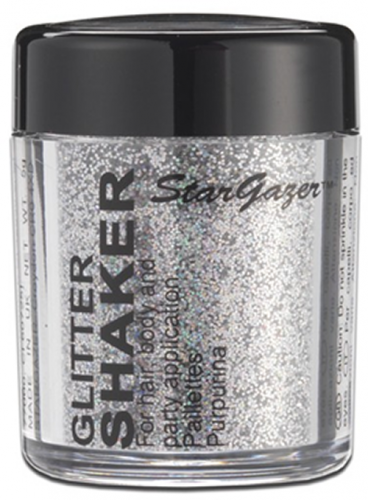 Glitzy loose glitter in a unique dispenser for cosmetic effects. 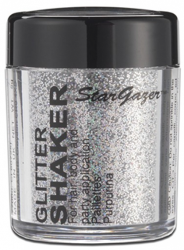 The Glitzy Glitter Shaker works just like a salt shaker, open the lid and shake the shimmering glitter to achieve really magical glitter results on the hair, nails, face or body. 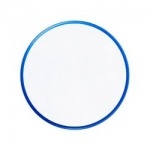 The Glitzy glitters are more natural in tone but still pack a massive glitter punch. You can also mix the cosmetic grade glitter with your make up or even sprinkle if over drying nail polish to add a sparkle finish. Great colour for adding over darker paints. Stays on for ages - was still on after a night of dancing!